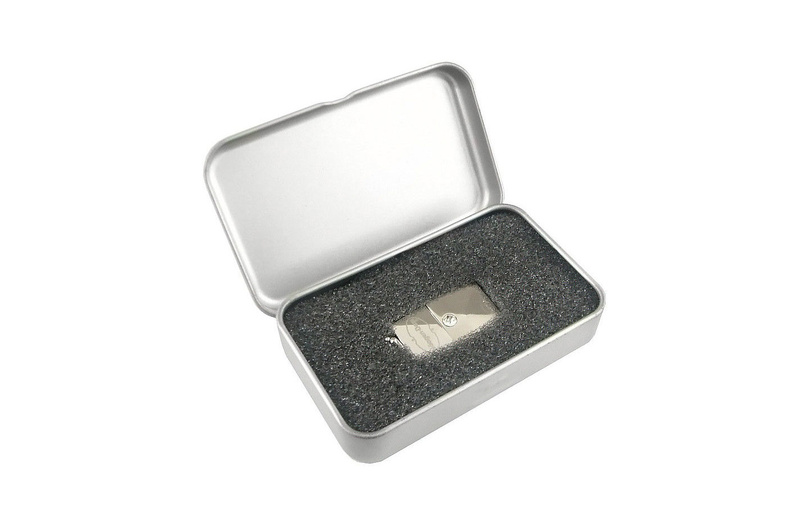 A metal box made of silver aluminum. Fixing the hinged lid. The inside of the box is filled with profiled, black foam, which allows you to pack most of our Pendrive models, as well as neck straps or hangers.